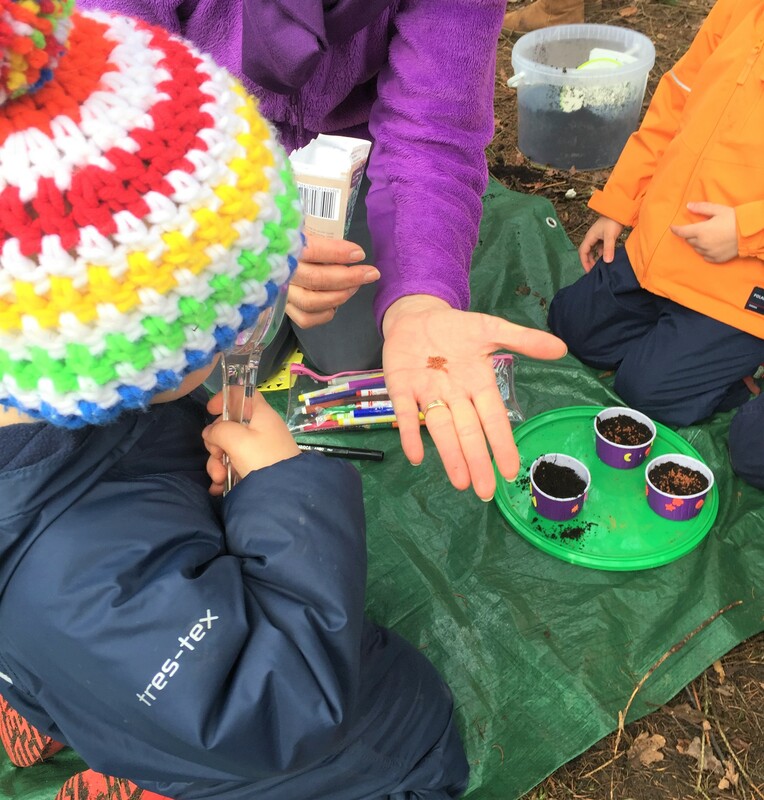 This activity was a big hit and Forest School a few weeks ago and one that kept giving joy. 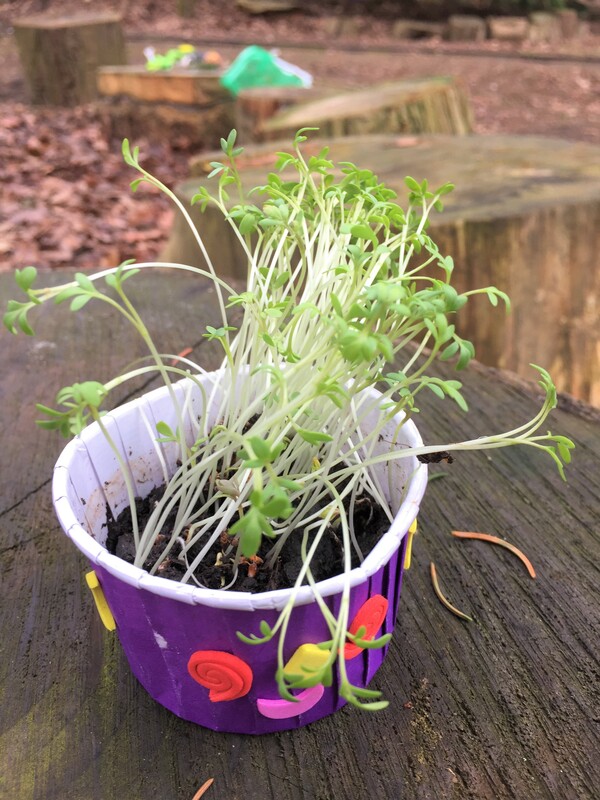 I have been sent a photo of the cress growing by one exciting child and another one brought his back to show us how big it had got before he took it home and had it in an egg sandwich. All you need to do then is decorate the pot, add in some compost and them sprinkle the seeds on top. Give them a water and leave them in a warm sunny spot like the window ledge. We has already spent some of the morning talking about buds and how things can be hiding inside other things so the children getting to see the seeds sprout a plant was a great next stage for their understanding of this concept. 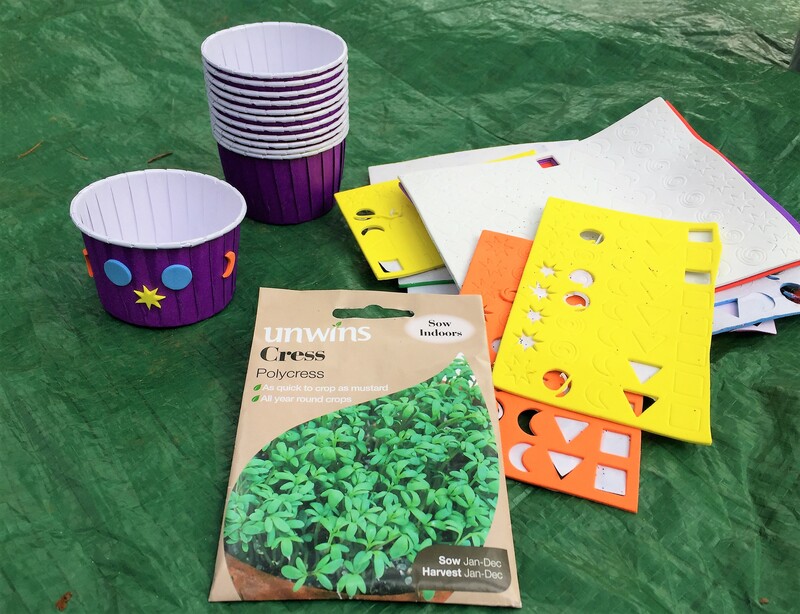 One of our Little Explorers had enough cress that all the family of 6 had some with their tea and I had lots of reports of yummy sandwiches. Neive currently has hers growing in the kitchen window so I’m looking forward to showing her what the tiny seeds will become.